In 1983, with a baby daughter on the way, Mike Camarata and Carol Zipke launched a 23-foot sailboat into Long Island Sound for the first time and started cruising. 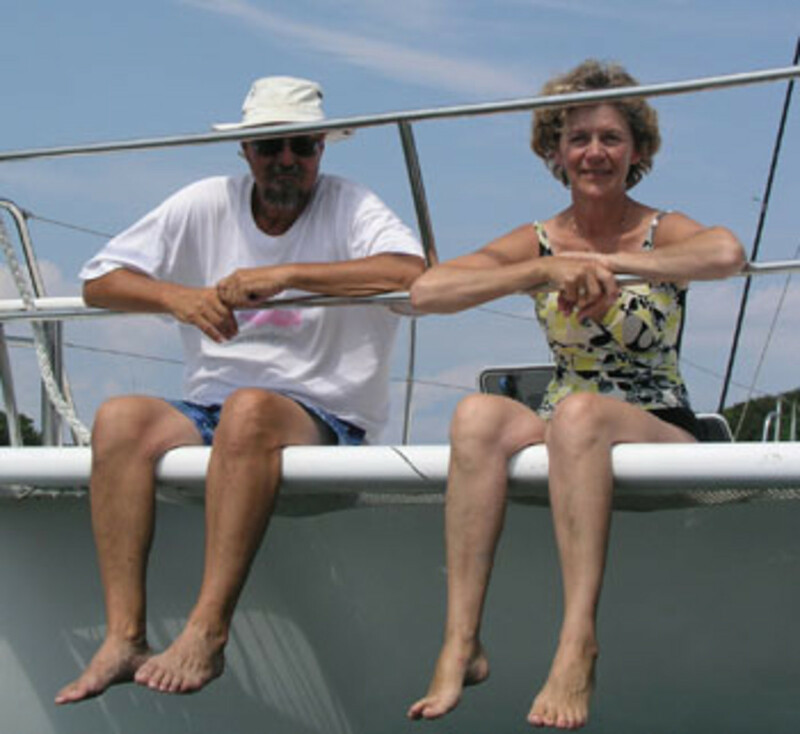 Today the semiretired couple from Mystic, Connecticut, can look back on more than 30 years of sailing adventures from the comfortable cockpit of their liveaboard home, a Dean 44 sailing catamaran. The Dean 44, built in South Africa and launched in 1998, is well known overseas (and is especially popular in France) as a cruising boat. Camarata came across it after 10 years of research and a one-year intense search. The couple interviewed brokers and went to the U.S. Sailboat Show in Annapolis, Maryland, every year to demo boats. 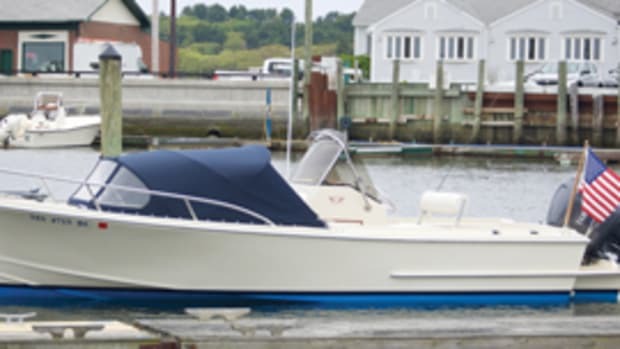 The Dean 44 was a bigger boat than Camarata was looking for. 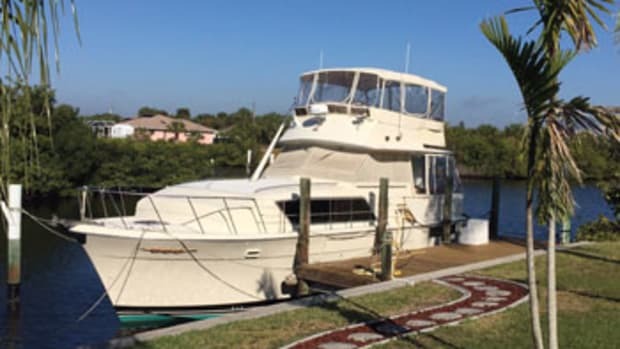 The berths weren’t in the right place, the galley wasn’t up in the main cabin, and the steering stations were different than the couple wanted. “But in this boat it all worked out great,” he says. 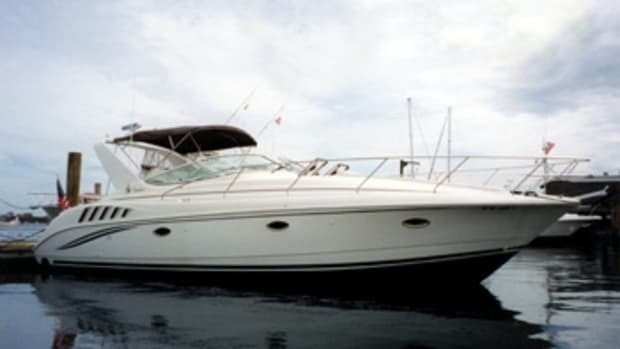 The boat was open, roomy and comfortable, comparing well to the Pearson 35 they’d last owned. They closed the deal in 2007, paying less than $250,000. 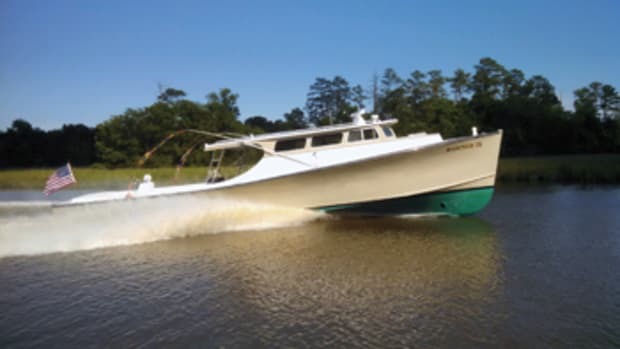 SPECIFICATIONS LOA: 44 feet BEAM: 23 feet, 7 inches DRAFT: 3 feet, 7 inches WEIGHT: 25,000 pounds HULL TYPE: catamaran SAIL AREA: 912 square feet AUXILIARY PROPULSION: twin 42-hp diesels TANKAGE: 177 gallons water, 145 gallons fuel BUILDER: Dean Catamarans, Cape Town, South Africa. The couple put about 600 hours on the boat annually, so the new Yanmars are well used. 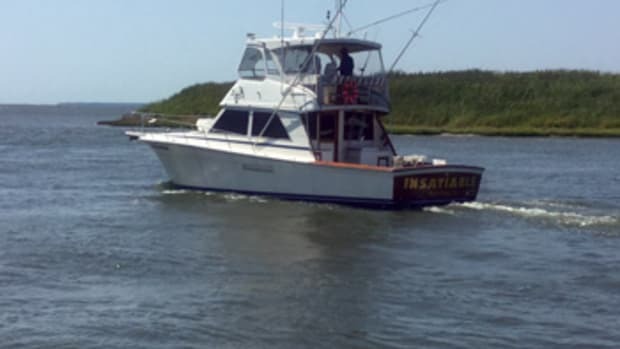 Expenses total about $12,000 a year for fuel, maintenance, repairs, mooring and docking. 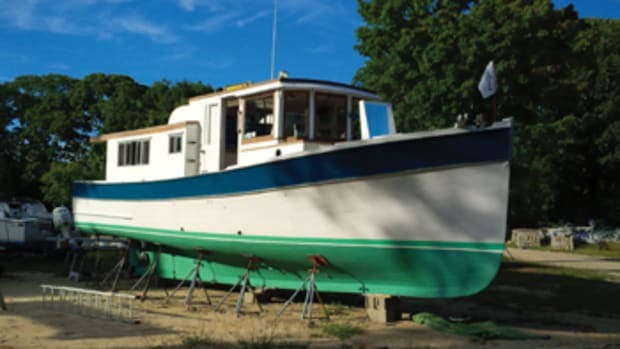 “We’re constantly spending maintenance dollars, but you have to realize the typical boater in New England uses his or her boat about a hundred hours per season,” Camarata says. “We are underway more than a hundred hours per month when we’re heading north or south.” The cost is less than home maintenance and heating, he says. Motoring to windward, the boat rides smoothly about 20 degrees or more off the wind, he says. “Three- to 4-foot seas on the nose can be very uncomfortable, but 6- to 8-foot seas, our max experience so far, can be pretty comfortable if coming from a different direction,” he says. Camarata’s philosophy? “Believe me, my young friend, there is nothing — absolutely nothing — half so much worth doing as simply messing about in boats,” he says, quoting the Water Rat in Kenneth Grahame’s book, The Wind in the Willows. Especially if that boat is your boat. Dean catamarans have semicustom interiors with quality joinery, high-end gear and comfortable designs. The Dean 44 and 441 have as many as four staterooms (two in each hull), each with a queen-size berth and an adjacent head compartment with an electric head and a separate stall shower and sink. The staterooms can be air-conditioned, and there are ports for ventilation and natural light. The well-lighted saloon area is “up,” between the hulls. There’s dining for as many as six people at a C-shaped dinette, which doubles as a social area and gathering place. The galley is “down,” also well lighted and ventilated by ports. Galley equipment includes a four-burner stovetop, refrigerator, freezer and microwave. Double sliding doors lead from the cabin to the open cockpit, which has seating for 10 and an outside dining area that seats six. Sunscreens around the cockpit provide shade. The Dean 44 and 441 are sloop-rigged, and the hulls are balsa-cored above the waterline, as is the superstructure. Auxiliary power comes from a pair of diesels as large as 50 hp each. 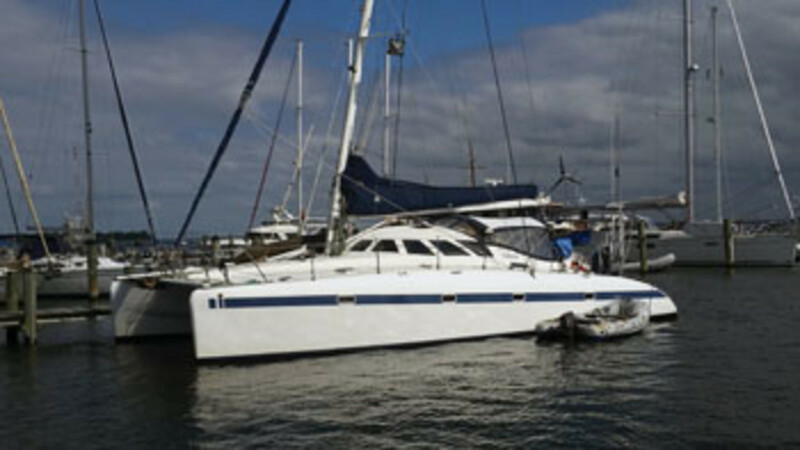 The fleet of Dean catamarans is the work of New Zealand naval architect Peter Dean. The signature Dean 441 is known for its heavy, rugged construction, a boat “built for boisterous sea conditions,” as the company says. 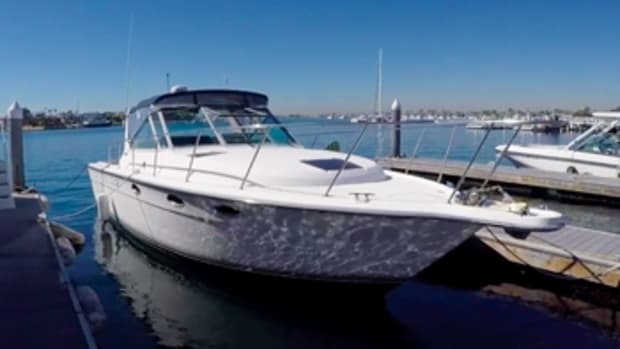 As a result, Dean catamarans have gained favor with bluewater cruisers around the world. 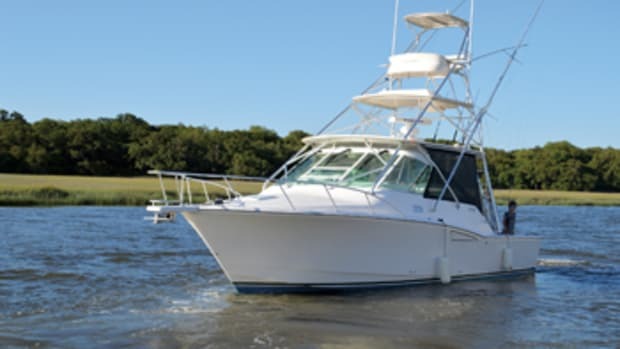 Based in Cape Town, South Africa, Dean Yachts went into liquidation in 2012.